Mount Tabor's 24th Annual Victorian House Tour - September 30, 2017 ~ The History Girl! The Mount Tabor Historical Society's annual House Tour will take place on Saturday, September 30, 2017. The self-guided tour will be held rain or shine 11:00 am - 4:00 pm. 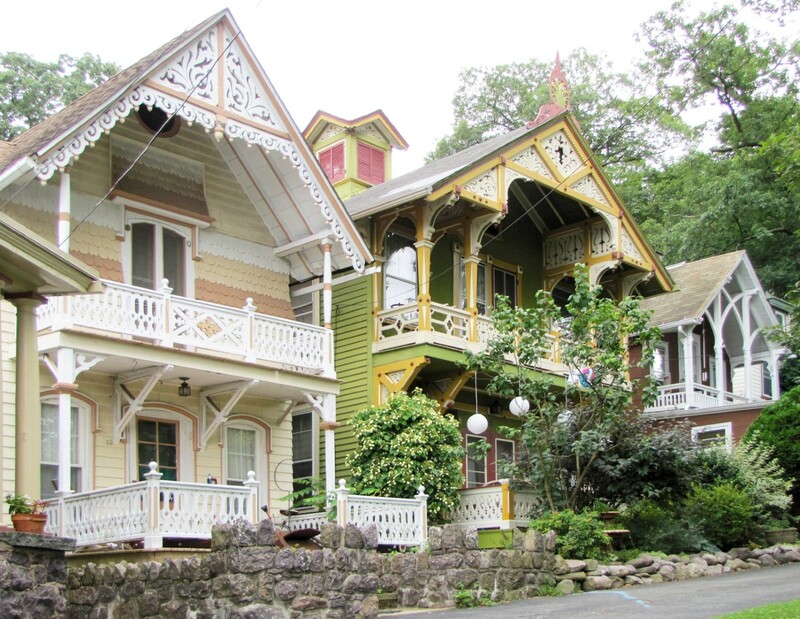 The Annual House Tour of the Mount Tabor Historic District allows visitors to get an inside look at the unique charm of this historic community, with more than 15 private houses and historic buildings open to the public. Special features include a furnished replica Camp Meeting Tent and the Richardson History House, a camp meeting cottage museum. Stop by the gift shop, which is stocked with Mount Tabor souvenirs and vintage items. There will also be lunches and beverages for sale. 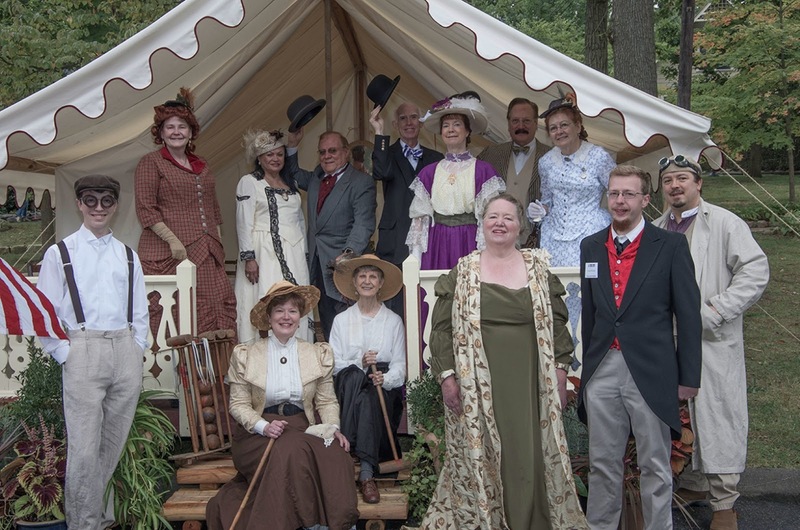 Step inside the replica Camp Meeting Tent and sample traditional tent life for yourself. You may find it just as charming today as when it was described in the Tabor Record August 1881: "Many delight in the freedom, the light and the air, that a canvas house affords, and hold that half the attraction of the place is in the wholesome outdoor life they lead, sleeping with but a film of cotton between them and the dews of heaven". This event is the largest fundraiser for the Mount Tabor Historical Society. The nonprofit organization puts all event proceeds back into the community through beautification, educational, and restoration projects, including the restoration of the Richardson History House. Founded in 1869, the Mount Tabor Historic District embodies the distinctive characteristics of a permanent Methodist Camp Meeting Ground that evolved into a summer residential community. Particularly notable is the architecture of the early camp meeting Stick-Style and Gothic Revival-influenced cottages with their prominent steep gables, open porches and elaborate gingerbread embellishments. Parking will be provided at the Mount Tabor School, located on Park Road, Morris Plains, off Route 53 (GPS: use 864 Park Road, Morris Plains, NJ) where a shuttle bus will be available for transport into the heart of Mount Tabor. Mount Tabor is located in Morris County along Route 53 between Denville and Morris Plains. Visitors who prefer mass transit can take the NJ Transit Morris & Essex line to the Mount Tabor stop. Tickets can be purchased for $30 on the day of the tour or $25 in advance online. For advance tickets, information about the community, photos, and directions, visit www.mounttabornj.org or call 973-975-0001.